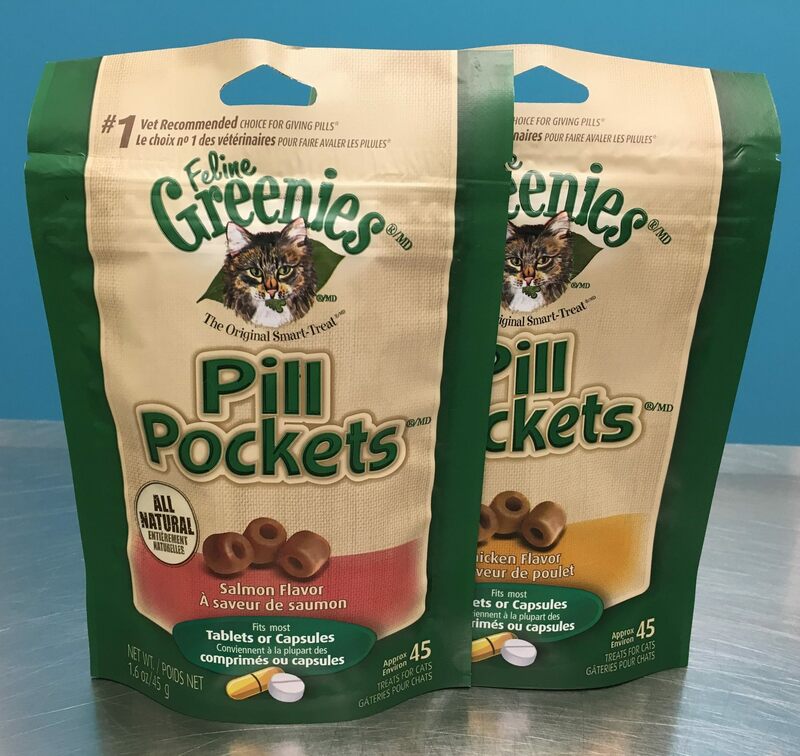 These treats have built-in pouches to easily hide pills and ensure your cat takes their medication. These all-natural treats are a healthier alternative to using human foods, because they have fewer calories and less fat and sodium. Plus, they're made with real chicken and natural salmon proteins for a great taste. Make pill-giving more enjoyable for both you and your cat. We recommend getting your cat acquainted with pill pockets early in life, BEFORE they ever need medicine, so they learn to trust these treats and look forward to them. Then, the day you need to actually put the pill inside they will hopefully scarf them down. Do not touch the outside of the pill pocket with the fingers that have been manipulating or breaking the pills. If you get the crumbs or scent of the pill on the outside of the pill pocket your cat will likely smell that and reject it. Instead, hold the pill pocket in one hand and the pill in the other hand. Place pill inside the pocket and squeeze close and immediately offer to your cat. We have other tricks to get them to take these so contact our office if you need more advice!